Only one pet dog per flat, every dog to have a collar, badge and microchip, clean up after your pet. Rottweilers, Pit Bulls and other aggressive breeds to be muzzled in public places. These and some more new rules are part of BBMP’s draft by-laws for pet dog licensing that Urban Development Department is expected to approve soon. All these years, there were no rules governing pet dogs in Bengaluru, while other cities like New Delhi, Chennai or Chandigarh have had rules that require pet dogs to be registered for many years now. However, Section 344 of Karnataka Municipal Corporation Act, prohibits citizens from keeping animals, birds and feeding animals without the permission of the municipal commissioner or the concerned officer. The Section also says “no person shall keep any animal or bird on his premises so as to be a nuisance or so as to be dangerous.” The BBMP Animal Husbandry Division has so far issued 2,100 licenses to pet animals in Benglauru. The BBMP though had drafted a by-law for pet dogs licensing in 2013, it was not able to introduce the rules as it received objections from Animal Welfare Board of India (AWBI). The Urban Development Department had retained the draft bye-law for quite a long time in its shelf and sent it back to the BBMP’s Animal Husbandry section two months ago with some observations. Acting up on the observations of UDD and objections raised by Animal Welfare Board, the BBMP has now re-drafted the by-laws and sent it to UDD for its approval for the second time, on February 10th, 2016. What is pet dogs rule all about? The proposed by-law elaborates on how the process of licensing the pet dogs has to be done. Accordingly, every dog owner in BBMP limits, should obtain a license to keep the dog at home and renew it every year. It also involves implanting a micro-chip in dog’s body at the owner’s cost as and when approved by the Corporation. The pet dog should also wear a badge and collar with license information on it. Veterinary Officer of BBMP is authorised to issue the license. The BBMP has set a limit for the number of dogs that could be kept in flats and independent houses. A flat owner can rear only one dog at his home, where as, the upper limit for keeping dogs in independent dwelling house is three. It also fixes the responsibility on the owner to clean the poop of his/ her pet in public places, park etc. and deposit it in a designated place. For the first offence, a penalty of Rs 100 would be imposed on the owners who fail to scoop the poop and double the amount for second and subsequent times. The by-law also makes provisions for any person authorised by the BBMP to capture any dog that is found straying around in public places in the absence of its owner. Captured dog will be detained in a dog’s house or other place appointed by the Municipal Commissioner or Chief Officer. Any dog that is found in public place without a collar and badge will be captured and detained and could also be killed if it is suffering from rabies or showing symptoms of rabies, by the person authorised by BBMP. The by-law also explains the process of reclaiming the ownership of the dog that has been detained by BBMP workers. Such dog could be redeemed by paying a fee of Rs 1 for dog with license and Rs 2 for dog which has no license. It will be mandatory for dog owners to make ear notch or an identification mark as required under Animal Birth Control Programme practised by Animal Welfare Organisations, for neutered dogs. In addition, the by-law explains the ways in which the dogs which are not redeemed by owners could be detained in a dog pound and how the rabies-affected dogs should be destroyed. Whoever fails to obtain license for dogs from the Corporation, will be imposed a fine of Rs 1,000 and in case of continuing breach, with fine which may extend to Rs 300 for every day if they are continuing the breach after the first conviction or with a fine of Rs 200 everyday if they continue to breach the by-law even after receiving notice from the Commissioner. So what is the difference between the old draft of the by-law prepared by BBMP in 2013 and the recently modified by-laws for pet dogs? Why did the BBMP modify the draft at all? The old draft had made a specification for the kind of breeds that could be reared in apartments, says BBMP Animal Husbandry Joint Director Dr Maheshwara Gowda. Speaking to Citizen Matters he said that in the earlier draft, the BBMP had made a list of 64 dogs that could be kept in residential flats. It had also proposed to make it mandatory for the owners of 15 breeds of dogs including Pit Bull, Akita, Nepolitan Mastiff, Tosa, Dogo Argentino, Fila Brasileiro, Boerboel, Bull Terrier, Doberman Pincher, Rottweiler, German Shepherd, Mastiffs and crosses of all these to be muzzled in public places. AWBI had also objected to the by-law of imposing the responsibility of dog’s poop cleaning on its owner. “In the absence of Central or State laws requiring cleaning of pet excreta by pet owners, you cannot impose any rule, regulation or bye-law with respect to mandatory cleaning of the same or impose special charges or fines on pet owners. You can of course, request them to do so,” AWBI Chairman had written. He had also objected the imposition of penalty on pet owners who fail to clean the pet excreta. However, the BBMP has not paid heed to the objection raised by AWBI on pet excreta. It has retained this part of by-law as it is. Though animals lovers have welcomed the BBMP’s move to license the pet dogs, they have taken exception to regulating the number of dogs per flat and house. Speaking to Citizen Matters, Bismi Anil, a resident of Whitefield who feeds stray dogs, said that restricting the number will not serve the purpose. “It is not agreeable. In reality, dog population will not reduce until and unless illegal breeding is controlled,” she said. She pointed that it is an individual’s choice to have as many dogs as they like. 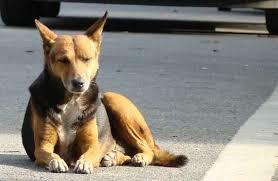 “If I find a dog at street which may require my help, I would take it home. I will continue to look after it if I don’t find a person to adopt the dog. In such a case, how can the authorities tell me not to keep an additional dog at home?” Bismi asked. AWBI member Sowmya Reddy too opposes the proposed one-dog per flat regulation. “The BBMP cannot restrict the number of dogs per flat or house. If a person has the capacity to look after more number of dogs, he/she should be allowed to,” she said. You can read the proposed by-law below. So many desi dogs: Choice is yours! Street dogs can be managed and kept healthy with the help of BBMP – now that the Animal Birth Control programme has restarted in the city.